August 20, 2018 Copyright by Shaku Atre. This is my personal tribute to the real yogi who passed away at the age of 95, on August 20, 2014. I met Bellur Krishnamachar Sundararaja Iyengar, better known as B. K. S. Iyengar in the late 50s, when I attended S.P. College in Pune, India. I am sure he would never have remembered me, a skinny young girl in my late teens, standing in his doorway with my bicycle. But I remember him vividly. In those days there were two major colleges in Pune – S.P. College and Fergusson College. When I had some time on my hands, I used to ride my precious and only possession, my bicycle, to explore the city. One day I rode to the Fergusson College campus to check it out, and then rode around the surrounding neighborhood. In front of one house, I saw some large photos of a man with very bushy eyebrows in really strange, contorted postures I couldn’t believe that a human body could keep its equilibrium in those completely unimaginable turned-and-twisted positions. I had to see that man. I rang the bell and the same man from those photos opened the door. At first, I didn’t know what to say. I just asked, “How do you do that?” He replied, “What?” I said “Your photos!” He said, “You have to learn.” I asked, “How much does it cost?” He said something like 100 rupees per month. That was an astronomical amount for me. I didn’t say anything and left. As a student on scholarships, and with only enough money for very basic necessities, I could not even think about spending that amount of money to turn my body upside down. I found out later that he charged hefty fees because he wanted only very serious students to attend his classes. After finishing my Master’s Degree in Statistics, I left India for Germany, and then moved to the U.S. Since my close relatives lived in Pune, I visited them every time I went to India. And every time I visited Pune, I also visited Mr. Iyengar’s institute, just to pay my respects. I bought his book, published in 1966, “Light on Yoga,” and have tried to practice, in my humble way, some of his yoga asanas (postures). Wikipedia writes about B. K. S. Iyengar, “He has been credited with popularizing yoga, first in India and then around the world.” This is not an accurate statement. The sequence is exactly the opposite: First yoga became popular with Westerners, and then Indians started to accept it. Unfortunately, the majority of Indians don’t respect the achievements of people born in India unless those achievements are noticed and praised by the West. As soon as an Indian’s achievements are heralded by the West, he or she suddenly gets noticed by the Indians in India. Even an extremely talented Indian like B. K. S. Iyengar had to undergo trials and tribulations until he was praised by a prominent Westerner, the famous violinist Yehudi Menuhin. A 5-minute appointment that Mr. Menuhin penciled into his calendar turned into a 3-hour session with B. K. S. Iyengar. Mr. Menuhin became a yoga devotee. In his 2005 book, “Light on Life,” Mr. Iyengar mused about the vast changes he had seen. The majority of Indians have a big inferiority complex because of their skin color. Of course, Indians get mad when they read or hear this. The truth always hurts. To support my statement, all one has to do is read the matrimonial notices in any Indian newspaper; the brides are expected to be of fair complexion. Indians should be proud of their very rich heritage of philosophy, spirituality, and advances in sciences. I can give a number of examples of how I was not recognized in my native India as a professional speaker, even though I am recognized in 40+ other countries where I have been repeatedly invited with hefty fees to speak. One time, I was told to bring a Caucasian Western man to India with me to attract a bigger audience – even though the man would have used books authored by me. My Italian friends from Rome attended Mr. Iyengar’s yoga class and loved it. A yoga teacher from Santa Cruz, California, a friend of a friend, wanted to meet Mr. Iyengar personally. He was ecstatic to visit with Mr. Iyengar. Over the decades more students from the West attended the yoga institute. With each new Western student, the status of the Iyengar Institute and that of Mr. Iyengar was on the rise. It was the West that made yoga as popular as it is today. When Westerners find something good, they accept it, follow it, and package it. The West has packaged yoga. And the rest of the world is benefitting from it, which is a wonderful thing. At the same time, the West has also made yoga into a multi-billion-dollar industry, starting with the yoga mat! Mr. Iyengar first travelled with Mr. Menuhin, then later travelled by himself throughout the world, opening Iyengar Institutes on all six continents. Dr. Latha Satish, head of one of the major yoga institutes in Chennai (former Madras), said, “Were it not for his celebrity in the West, Mr. Iyengar would hardly have gained a reputation in India. Mr. Iyengar would not have survived in India.” I hasten to add that Ayurveda – the “Life Knowledge” – herbal medicine, vegetarian diets are a few of other practices, among others, that are more respected in India because of the West’s Caucasian followers. 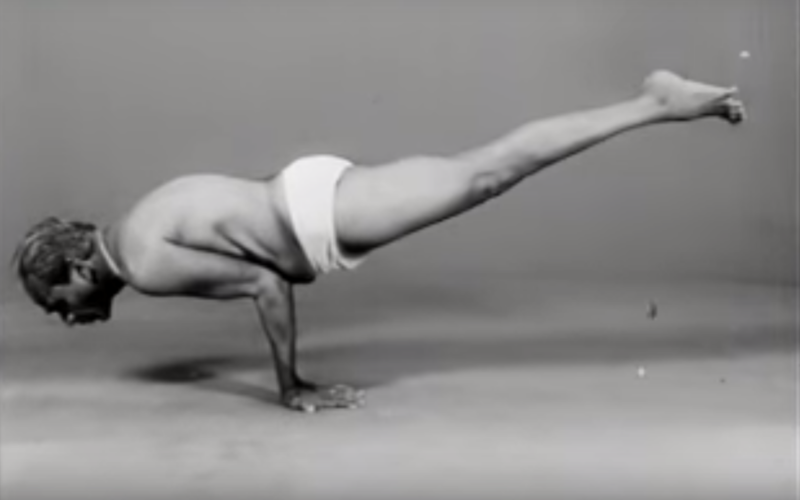 Everyone who is practicing yoga throughout the World and, especially in India, should be thankful to B. K. S. Iyengar, to Yehudi Menuhin, and to the West for exporting yoga to India. I am not going to miss a visit to the yoga institute in Pune on my next trip to give my respect to the real yogi who has left us.